Boasting one billion monthly active users, Instagram is not just one of the largest social networks in the world. It is a marketing platform to reckon with. Instagram users are 10 times more active when it comes to engaging with brands than users on Facebook, which makes it a perfect tool for traffic generation and online сommunication. For this reason, Instagram is insanely popular with businesses of all scales, especially the small ones. However, to achieve any tangible results with your marketing efforts on Instagram, it’s hardly enough to share a couple of fancy photos every once and again. Running a successful marketing campaign on Instagram takes time, resources, and dedication. Furthermore, it requires the knowledge of mechanisms driving the audience engagement and promotion techniques on the platform. This is why we summed up a bunch of useful Instagram marketing tips to help you promote your business website on the social network effectively. Audience: Who are the people you want to reach, why, and what do you want them to do? Answering these questions will help you set the right priorities and prepare the content consistent with your goals. Resources at hand: Consider what it takes to attain your objectives on Instagram and determine whether you have enough resources: money, time, workforce, etc. Depending on your conclusions, you will see whether your goals are realistic enough. If not, find ways to get more resources or set less ambitious goals. Success measurement: Decide how you’re going to measure your progress. What indicators will you take into account to figure out what works best for your audience, which marketing efforts are worth it and which are a waste of time? With clear metrics (e.g., number of followers, likes, or shares, incoming traffic to your website, purchases on your online store, etc.) 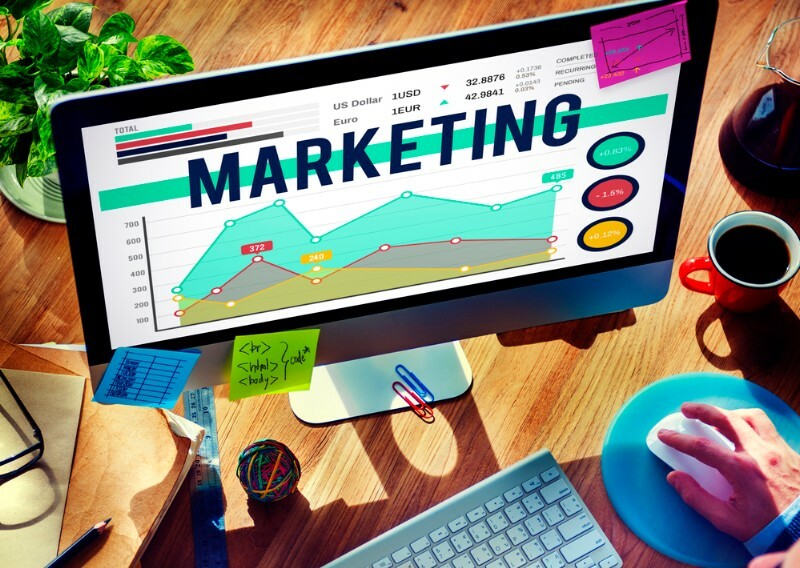 and baselines, it will be easier to monitor your growth and make amendments to your marketing campaign as you go along. Better visibility: A “Contact” button appears in your profile allowing users to get in touch with you easily via email or phone, or find out your location on a map. 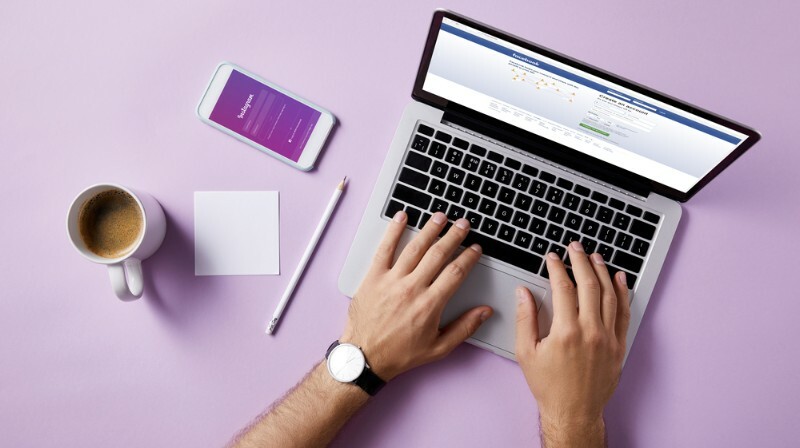 Analytics: Business accounts on Instagram can track statistics, monitor the performance of posts, and identify their audience thanks to an Insights analytics tool. 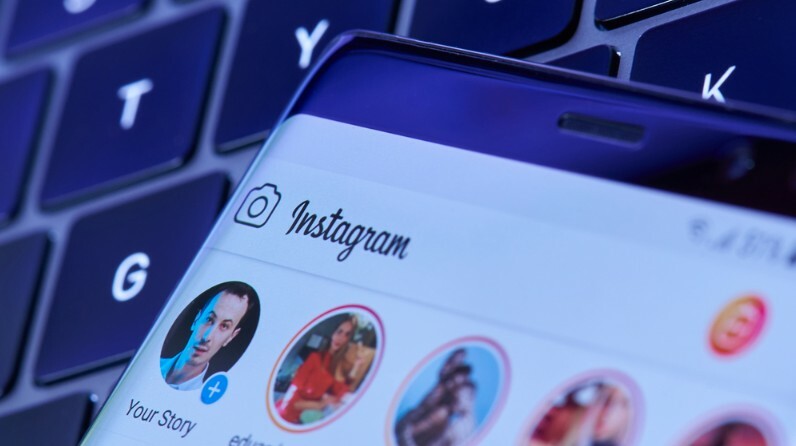 Instagram ads: Business accounts can run highly targeted advertising campaigns on the platform to promote posts effectively. Profile name: Use your brand name as your profile name. If it already exists, select a word or phrase that is associated with your brand. Bio: Add a high-quality profile photo (this can be your brand logo), write a brief yet informative description of who you are and what you do, and provide a link to your website. Integration with a Facebook profile: Since Facebook owns Instagram, it makes total sense to integrate your profiles on both social networks to double your marketing effectiveness. Start with adding an Instagram tab to your Facebook page. This will allow you to share Instagram posts with followers on Facebook. Instagram is all about identity and creativity. So no matter whether you promote yourself or your business, your Instagram content strategy should focus on a unique vision of the world. Therefore, it is vital to define your own style and stick to it. Before you start creating content for your marketing posts, think what you are going to focus on, what message you will try to impart, what values to convey. Is there any concept that you want to create with your visual content? Your brand’s individuality matters on Instagram more than on any other social network. Be creative: Use filters to make photos more attractive, look for unusual shooting angles, experiment with lighting. Hire a professional photographer or learn a few tricks of the trade. Use graphics editing software to process photos and make collages. Take product photos: High-quality photos demonstrating your products to the public can increase the interest in your brand and boost sales. 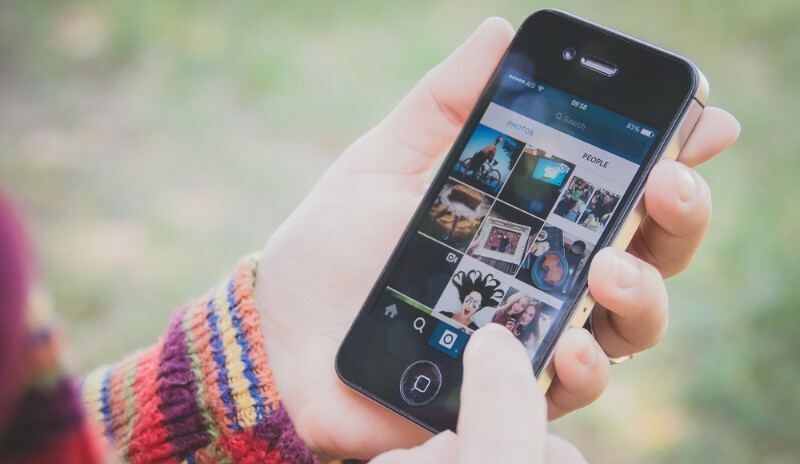 Share videos: Instagram lets you add videos up to 60 seconds long. Use this opportunity to diversify your content and increase the engagement level. Show your products in action: Make photos or videos to demonstrate how your product looks in real life and how it can be used. Preview your new products: Instagram users love to be the first to know about the latest goodies, so you can use this to your advantage and tease your products to build some hype before the release. Offer content unrelated to your products: Avoid flooding your followers with marketing posts only; otherwise, you risk losing their trust. Dedicate your account to a specific lifestyle and nurturing relationships with consumers. Share exclusive content: Post exclusive photos and videos that you don’t share on other social networks to make your followers feel special. Broadcast live videos: Thanks to Instagram Live, you can delight your followers with live videos from events, production sites, behind-the-scenes, etc. Live content boasts better visibility in Instagram feeds and generates lots of engagement. Show who you really are: Share photos and videos featuring your employees, office, manufacturing facilities, etc. Let your audience see what happens behind the scenes of your brand. Don’t forget about captions: Visual content is undoubtedly a priority on Instagram, but this doesn’t mean that text is irrelevant. Use creative and funny captions to amplify the message conveyed by photos. Hashtags are keywords which help users find specific content on Instagram while allowing brands to promote their posts on the platform. Therefore, skillful usage of hashtags is one of the essential requirements of a successful Instagram marketing campaign. Instagram allows adding up to 30 hashtags to a single post, so there’s a lot of marketing potential in there. But what hashtags should you use? Branded hashtags: Use your brand name as a hashtag in your posts to increase your visibility on Instagram. Promotional hashtags: Consider tagging your Instagram marketing campaigns with unique and easily recognizable hashtags. For example, if you run a contest on Instagram, create a hashtag specifically for it. This will help you attract more participants to the event and allow users to find other contestants. General hashtags: Employ general hashtags associated with your products or a lifestyle your brand promotes. Trend hashtags: New trends spout up like mushrooms on Instagram all the time. 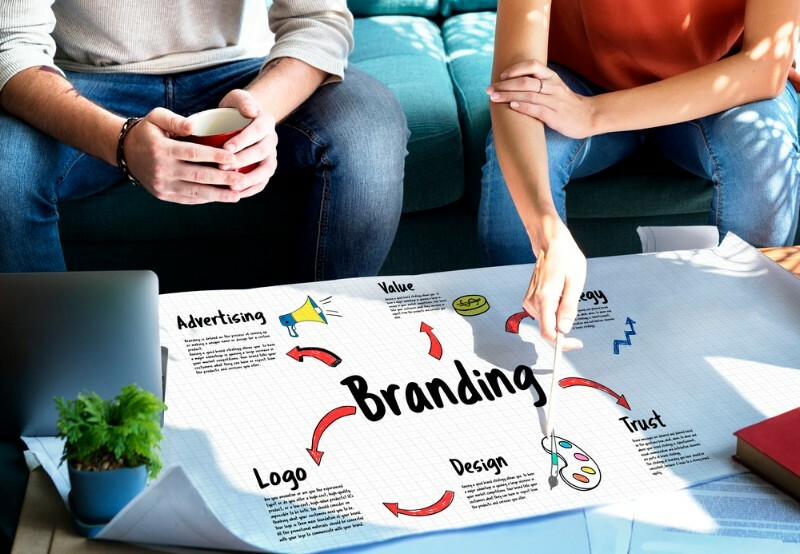 If one of these trends matches your brand, don’t hesitate to use it to your advantage. This can bring your posts thousands of views in just a matter of minutes. Location hashtags: Use geotags to show your audience where you are and promote your content in a given area. Share your customer’s photos: Content generated by your audience is a precious asset your brand can use to improve its reputation. What is more, sharing user-generated content is a great way to show your appreciation to the clients, give them credit for being loyal to your brand. So if you can find a photo of your customer using your product (or interacting with your brand anyhow), make sure to share it through your own profile. Just don’t forget to ask for permission first. Like your followers’ posts: Let your subscribers know that you follow them too, especially if their posts feature your brand or product. Comment on your followers’ posts: Keep in touch with your subscribers by commenting on the photos related to your product or brand. Reply to comments: When someone comments on your post, make sure to reply. This is especially important if the comment contains a question or feedback about your brand. Mention your followers: By mentioning (@) your subscribers and other Instagram users who share photos featuring your brand, you show them your acknowledgment and open up for direct interaction. Ask followers to comment on your posts: Draw attention to your posts and get feedback by asking subscribers to leave their comments. You can add CTAs (calls to action) in your captions or as overlay text right on your photos. Ask for feedback about your brand and products: Think about how to get people talking about your business. Ask original or personal questions related to your brand or a lifestyle it promotes to get the audience into a dialogue. Promise awesome gifts to winners who will collect the most votes, for example, a free product, discount, coupon, or some exclusive privilege. The prizes will incentivize people to participate while the need to get more votes will encourage them to tell friends about your contest. If you do everything right, your event can even go viral! Instagram Stories are a feature that allows you to tell the story of your brand by posting content that disappears after 24 hours (so-called “ephemeral content”). Instagram Stories are all about photos and short videos captured on-the-spot, displaying the most vivid moments of life. This is why brands often use it to show the human side of their business, expand the outreach, and increase the audience engagement. The possibility of editing images and adding funny filters and graphic overlays, as well as the unobtrusive nature of ephemeral content, make Instagram Stories insanely popular. Therefore, you simply can’t afford not using it if you are serious about marketing on Instagram. Find out more about Instagram Stories and how to use the feature for marketing in our previous article. Influencer marketing on Instagram is one of the most effective ways to promote a brand and expand the audience. The strategy is simple: you contact an influencer in your niche and ask to make an Instagram post highlighting or recommending your brand or its specific product. Make sure the influencer is a good fit for your business: The ideal candidate for the job must be somehow related to your industry, share your brand’s values or follow a specific lifestyle. And it goes without saying, the influencer’s following must be large enough for you to invest in. Make sure you have something to offer in return: Partnering with influencers can be quite costly, so you have to be ready to fork out a certain amount or at least offer a free product sample. Post regularly: Regardless of the number of your followers, post new content on a regular basis. Thus, users will see your brand more often and be more likely to buy your product. Identify the optimal frequency of posts: Examine the analytics to determine how often you need to publish new content. Determine the ideal posting time: Find out when your posts are seen, liked, and shared more often. Publish new content when your audience is most active. Make a content plan: Schedule posts in advance. This will allow you to meet the deadlines easier and come up with new content timely. Track your performance: Always monitor the number of followers, posts with your branded hashtags, likes, and comments to know how to build your further strategy. Follow the trends: The new ways to attract an audience on Instagram emerge all the time. Keep track of popular trends to keep your followers engaged. To get the most out of Instagram, use the above tips and never stop improving the quality of your content. This is the only way to increase the number of your followers and promote your brand. And always keep focused on your audience. Remember that the key to successful promotion on the platform is communication and interaction. Gregory Mount is SMM specialist at Ning.